Our youngest daughter loves playing with her dolls, and luckily she has some friends with the same interest. She was invited to bring her baby doll to a doll's birthday party at a friend's house today. 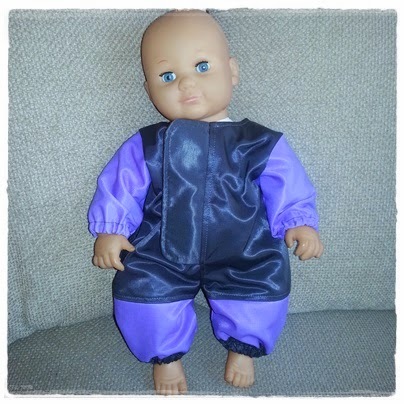 I had sewn a coverall suit as a gift for the baby doll. Unfortunately, I didn't have enough fabric to make a hood, but I knitted a purple and grey hat instead.